Staff communication though chat and alerts. FinClock online staff management system enables you to assess and review the progress of employees from anywhere and at any time. Using FinClock staff management application, the employee location is automatically monitored, during their shift hours. The location forms the employee work-map, which is shown in real time. Modern employee tasks require many work reports. Using the FinClock online staff management application on the mobile phone, employees will key in the right details, which will be included in a report that sent to the web-based staff manager’s accounts. Contact us now for a free evaluation software that enables you to know the activities going on during your indoor and outdoor projects and helps you to review the performance of each employee. Reduction of inefficient Human resource practices, such as ghost workers, through improved attendance to duties, reduced wage bill, proper distribution of workforce and increased productivity from 70-100% efficiency. Elimination of inefficient utilization of budgeted funds for projects, leading to completion of projects in time and reduction of project costs by up to 25%. Automation of information management, leading to improved institutional decision making process. Empowerment of stakeholders, in order to show case delivery of projects and services, thereby unlocking the potential to gather funding for various projects. Employers need time attendance software for both indoor and outdoor workers. This system must ensure that there are adequate workers at each assignment, for high efficiency. Every employee should be recognized and be allocated tasks that they should complete. Using online staff management system for time attendance enables the management to identify the employees’ timesheet trends through the input data that is provided by the system. The management will be viewing this data directly, thus knowing who came to work and who did not. The when there are many employees in the same location, online staff management system is integrated with fingerprint attendance software, to provide records that are meant to eliminate ghost workers, lateness, and absenteeism. Therefore, the FinClock online staff management system will help to allocate tasks to the registered employees only. 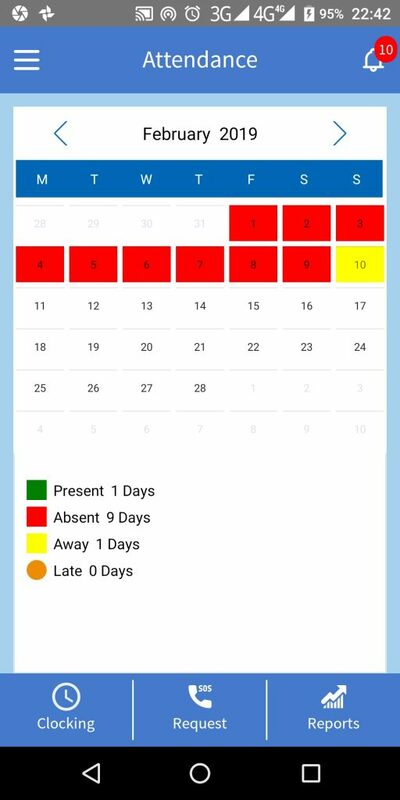 Using time attendance software for indoor and outdoor workers, who are not at their station physically, or are there but not doing their job. Using the time attendance software records, which are based on fingerprints, lateness, and absenteeism will be identified. This will determine the required course of action according to the company policies. The employees who have logged in to work at the time of their shift will be identified. If there is a need for an increase in the number of shift hours, they will make a request and the issue is forwarded to the right manager, who then takes the required action. Why do you need online staff management system. Modern managers face challenges in the pricing of labor due to the illegalities that arise during labor management in various stages of a project. The cost of labor should be managed the best way possible. One of the best methods in modern day processing of payment is using a software to accurately determine the wages of employees, depending on the worked hours. Although traditional methods of labor management are still in use, there are many challenges associated with such methods. These challenges are mainly triggered by various factors that the managers have not addressed. Employees tend not to be on schedule when unsupervised, which results in extension of project deadlines and, consequently, more expenditure on the project. When using online staff management system for labor management, you can pay employees according to the work they have done and punctually. This will eliminate ghost workers and absenteeism, which improves performance and saves time, thus, making you save 20-35%. The best case of using labor management system include the use of online staff management applications, for tracking staff attendance and location. The attendance records are automatically captured, which ends up being calculated as the wage of the employees. The wages thereof are automatically calculated and sent to employees phone or mobile wallets. The FinClock online employee management system records tasks daily, weekly and monthly, which enables calculation of each employee’s monthly salary according to how many times they have registered and completed tasks. FinClock has an inbuilt capability of preventing multiple registrations. Therefore, only people who are registered and attend work every day will be paid. The work that the employees do will be visible on the list of completed tasks. FinClock labor management pricing software for construction sites shall help you track the employees working on a project against the work done, thus, avoiding exaggeration of costs and extension of project deadlines. Therefore, having FinClock cloud solution will ensure that no errors occur during the pricing of projects and payment of employees. Contact our dedicated support agents now for further details and get started. online staff management system features replaced traditional workforce management systems. The businesses and companies have a great need for a system that ensures that employees perform their tasks, tasks are completed on time, there are no illegalities among the workers and the progress of projects remains undisturbed. FinClock online staff management software is a cloud-based system that enables managers to track the work of each employee in a project. Regardless of the internet connectivity at the working places, the features of employee scheduling has been custom made to fit the needs of reporting. The managers at both indoor and outdoor working sites will use their phones at all times to make reports of employee attendance, project progress and even payments made to different employees. As such, this system is simplified to addresses these employee management challenges. The software system seeks to achieve 40 – 70% improvement in employee scheduling in construction firms and can run without close supervision in the construction sites. FinClock online staff management software combines the most vibrant methods of data collection from the actual workplace, especially, decentralized workforce structures to ensure that employees report to work full-time and perform tasks fully. Using FinClock online staff management application, employees can indicate the completed tasks and record the required data. The documented data is then availed through a secure online platform. Through FinClock online staff management application, the management can view events directly through their mobile phones or computers at any location, which facilitates effective decision making. Contact us now for an effective solution to the core employee management challenges facing your construction firm. Fell free to book a free demo and a dedicated member of the support team shall guide you in your new journey to profitability. Thank me later when you have increased profits in and improved staff productivity. companies and managers require round the clock review of the activities taking place in the workstations for identification of the performance of the workers therein. FinClock online staff management system requires the workers to give reports of incidents, tasks and attendance, indicating whether they are normal reports, priority reports or emergency reports when at work. In case an employee reports an emergency, they will be able to report fast and accurately. Every staff manager will be able to recommend right action to be taken when an employee performance is wanting, which is done directly through the online staff management software. Cases of lateness will be reported and the actions to be taken recommended according to the company policies. The FinClock online employee management system will record the persons logged in and the number of workers present during their shift. If there is need to increase the number of workers, they will record the issues, and the report will be viewed directly by the operations management. The management will then take the required action. Any requests for work requirements such as work items and equipment will be made on the staff management application. here, the workers will feed the details of the required items, and the department responsible will view these records and either honor or reject the requests. Performance in outdoor work should be held in high regard. Fieldworkers should be vigilant in ensuring that the policies of the company are always upheld. There should be a quick response to authority and alerts that are brought to their attention at all times. Most of the times, round-the-clock close supervision is required to evaluate the performance of fieldworkers. FinClock Online staff management application ensures that the management is aware of the employees’ actions from the time they clock in on their shift to when they clock out. This helps to distinguish the employees that adhere to the company’s policies on attendance from those who do not. The reports that the employees send through photos and messages assist the management in assessing their performance. The use of the FinClock Online staff management system to evaluate staff performance gives the management the ability to acknowledge the well-performing employees according to the company policies. The employees that are lagging behind in their performance will be identified and addressed by the management. The FinClock online staff management application system provides you with a platform to keep track of the daily progress of the company the online staff management accounts, which are designated as per the departmental admins. Multilevel training of employees on efficient utilization technological resources. Maintenance of integrated human and project management system. Find the best staff management systems online. The top software to help streamline the operations of staff management. The best human resource systems will help you cut the cost of operations by automation of tasks and reporting. Best human resource management systems help managers to increase productivity of the employees and cut the expenses of running a business. The best way is to find a human resource management system that reduces the time wastage. This solution is to start with an attendance management system. The system will help ensure that each employee comes to work on time and leaves at the set time. A good human resource management system will also have Staff requests application. The applications may include leaves, shifts, emergency request and items request. using a good hr system will cut the time of response and streamline the operations. Find the best human resource software online here. Best employee management system features, working as mobile application for employees and cloud based system. The #1 staff management system that serves both indoor and outdoor workers. Here is a summary of some of the features in FinClock EMS. The employee records can be seen after registration. Here, the employee name, assigned workplace, job category, payment frequency, account number and the employee mobile number can be seen. The employee records can be downloaded as a pdf or excel format and used to make other decisions such as payments and employee promotion, demotion and even dismissal. Also, the employee can be marked as either active or inactive. Inactive employees are not able to get any data processed. The employees timesheet reports are automatically processed via the online attendance system. The processed timesheet shows the employee ID, name, assigned workplace, sign on and sign off time and date as well as the number of hours the employee has worked. The data can be downloaded into an excel sheet and used to make decisions such as who is attending job, who is absent and even who is signing in and out away from their workplace. The manager can view a summary of the employee reports, as per their workstation and their job groups. This provides the managers with a real-time experience of what is happening at the workplaces. The appraisals are therefore managed based on performance evaluation reports, which are tamper proof and real time. thus, the operations in the organization is streamlined. The job groups also reflect the distribution of human resources in the business. Here, the managers can see and decide on the actions to be taken, to curb under staffing and over staffing of various departments and workplaces. After resolving the challenges of absenteeism and employee lateness, FinClock hr app now resolves assignment of employee tasks and duties. Using FinClock application, the employees are able to show their daily task reports. Managers can assign duties and track progress using the online task management system features. 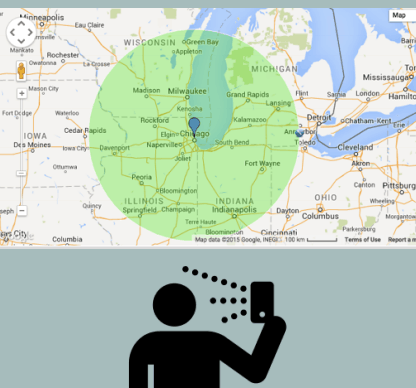 Geo-location features help identify the place where the employee is working. If they are not at the right workplace, then they are not performing their required duties. Geo-fencing marks a give radius, out of which an employee management and attendance records is marked as a suspected punch. This feature helps the admin to set the specific locations and to see exactly who did not arrive at their workplace. Employee management requires regular evaluation of performance. The performance of employees is analyzed based on the attendance and tasks report. The system is smart and uses KPIs that include employee lateness, absence, completion of tasks, bottlenecks and overdue tasks. All these factors are combined to give a percentage performance of employees. Employees who sign in or out of their workplace radius are automatically filtered and listed under the suspected list by distance. Here, one can see the exact time, distance from the work place and the employee records. The action that can be taken is calling and requesting for the reason for having the employee sign in or out of range. As such, employees will have to attend to their jobs at the right time and location. This will help improve service delivery and accountability of each employee. Employees are entitled to certain leaves, which have variable duration. The FinClock system allows the employees to request for leave at their work stations, and the leave can either be approved or rejected by the admin. At this time of leave, the employee timesheet is not required and their remuneration can be adjusted as per the agreement of leave days. The leave management feature also allows the admin to assign a replacement of the person whose leave request has been approved. Employee transfer feature allows the admin to transfer an employee from one workstation to another. This feature is critical in maintaining worker ratios. The transfer allows the admin to select the employee, set the post that they are being transferred to and set the reason for the transfer. Then, the overall company admin can either approve or reject the transfer. This also includes the dismissal option for an employee, with the reasons thereof.